The 70th edition of the Volta a la Comunitat Valenciana will be held between the 6th and the 10th of February. The Tour de France winner Geraint Thomas and the World Champion Alejandro Valverde will start in the Spanish race. The 2019 edition of the race was presented in Valencia, Spain, and the entire course was unveiled. The race will start with an Individual Time Trial in the city of Orihuela on the sixth of February. The second stage will start and finish in Alicante and is set to finish in a bunch sprint. The third stage will start in Quart de Poblet and arrive in Chera while the fourth stage will be the Queen Stage, featuring four categorised climbs and an uphill finish in Santa Llucia with stretches that can reach an inclination of 20%. The last stage will take place on the closing city circuit in Valencia. 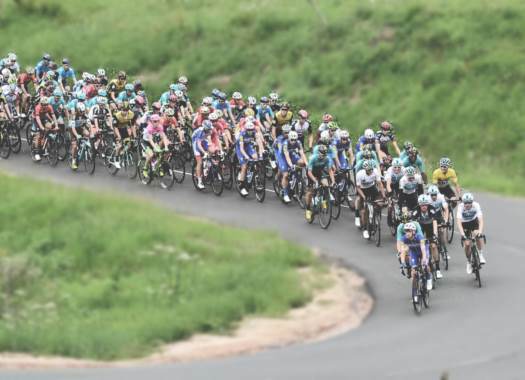 The organisation of the race confirmed the participation of the winner of the 2018 Tour de France Geraint Thomas (Team Sky), as well as of current World Champion Alejandro Valverde (Movistar), Esteban Chaves, Adam Yates, Matteo Trentin (Mitchelton-Scott), Niki Terpstra (Direct Energie), Daniel Martin and Rui Costa (UAE Team Emirates). Eleven World Tour will take part on the race: CCC Team, Katusha Alpecin, Mitchelton-Scott, UAE Team Emirates, Movistar, Jumbo-Visma, Astana, AG2R La Mondiale, Dimension Data, Team Sky and Bahrain Merida. Those teams will be joined by Direct Energie, Gazprom Rusvelo, Israel Cycling Academy, Sport Vlaanderen-Baloise, Caja Rural-Seguros RGA, Rally UHC Cycling, FC Porto, Fundacion Euskadi, Euskadi Murias, Fundacion Contador and Burgos BH.